Episode 40 Norse. Sleipnir is the name of Odin's steed. Qilinmon + Win Ratio 80%! 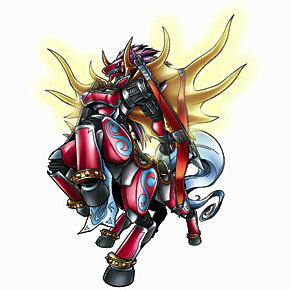 At the end of the turn after you evolved into this Digimon, send Sleipmon to the Dark Area. "This holy crimson horse gallops over the land, sea, and air, shooting with Muspelheim!" He cannot lose his special powers. Has the power of "fighting." At the beginning of the battle, your opponent loses 10 points for every two cards he has on the Point Gauge.